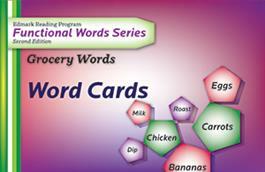 The Functional Words Series–Second Edition Word Cards include all 100 words taught in the kit. The lesson numbers are in the upper right corner. The cards can be used for flash card practice, for word walls, and for initiating discussions.